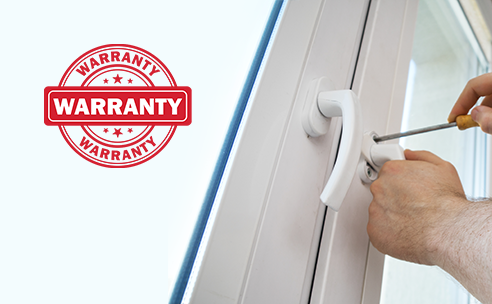 Guarantee without any conditions applied! With all our products, we ensure that you face minimum to no inconvenience. Guarantee Certificate will commence on the date of completion and will come into force once the full and final payment has been received and cleared by Aparna Enterprises Limited. Since the glass tends to get scratches over time, it can be taken care by using a glass cleaner and soft cloth. On a yearly basis, remove the dirt and debris from the moving parts. You can lightly oil the moving parts with simple machine oil. Do not use metal polish or harsh cleaning products. Use a soft cloth to clean the internal and external surfaces of the frame to remove any grime or dust. Clean with a mild liquid detergent solution and rinse with water to remove any stubborn marks. On an annual basis, generously apply a smear of petroleum jelly or grease to each side of each additional hook or bolt. This will help in the smooth functioning of the lock. Clean and lightly grease the track surface annually with petroleum jelly.